Brighton travel to Bournemouth this weekend in the Premier League hoping to get back on track. Brighton travel to Bournemouth on Saturday in the Premier League. The Seagulls head into the game off the back of a 2-1 defeat at home to Chelsea. Bournemouth off the back of two defeats in the last week, to Wolves in the league and Chelsea into the Carabao Cup quarter-finals. So both teams will be hoping to get back to winnings ways in this weekend's game. Brighton will again be without Shane Duffy, who serve the final game of his three-ban after his red card in the win over Crystal Palace. The Seagulls will also be without wingers Alireza Jahanbakhsh and Jose Izquierdo, who are both still missing with hamstring and knee injuries respectively. After impressing after coming off the bench against Chelsea, Florin Andone will be pushing Glenn Murray to start up front against the Cherries. Bournemouth will be without Lewis Cook, who is a long-term absentee with an ACL knee injury. Adam Smith will also be missing with a knee injury he picked up at the start of last month. Both Tyrone Mings and Simon Francis are also doubts with back and groin injuries respectively. Callum Wilson may return to the starting lineup after return to the starting lineup in the 1-0 defeat over Chelsea on Wednesday. The right time to play Bournemouth? Brighton may have picked a perfect time to play Bournemouth. After starting the season so well the Cherries have lost six of their seven games in all competitions, with their last win coming nearly two weeks ago against Bournemouth. 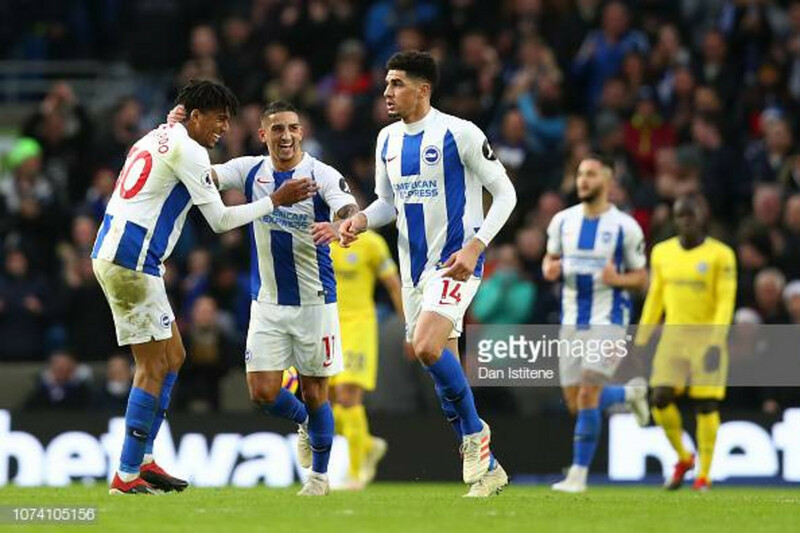 The Seagulls will be hoping they can make that seven out of eight on Saturday, but to do that Brighton would need to win a game which has only happened twice so far this season and only four times since Albion came into the Premier League last season. One player who will be key for the Seagulls is winger Solly March. Brighton's winger has been in great form recently, having scored one goal and got three assists in his last four games. What makes March dangerous is his pace, skill, set-piece delivery and runs meaning he is hard to keep quiet for many sides. One thing Bournemouth will want to avoid is letting March cut back and swing in a cross, as this is how he got both assists in Brighton's last away win over Huddersfield. March's delivery is dangerous and accurate and with either Murray or Andone upfront, they are more than capable of getting their head on it and scoring.